Who doesn’t love fast loading websites? 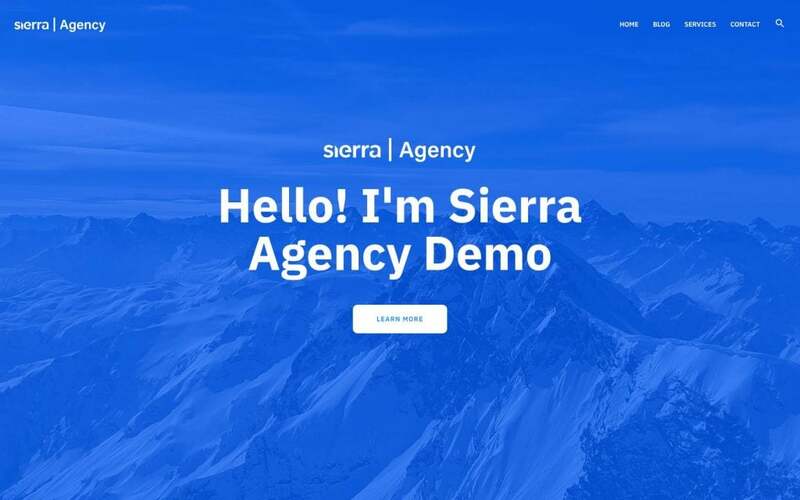 The first principle which we have kept in mind when creating Sierra Theme is that it should be the fastest WordPress theme possible to develop. The design is one of the critical components of a successful website. That’s why we have spent countless hours designing every aspect of Sierra Theme to have eye-catching, up-to-date and lightweight design. 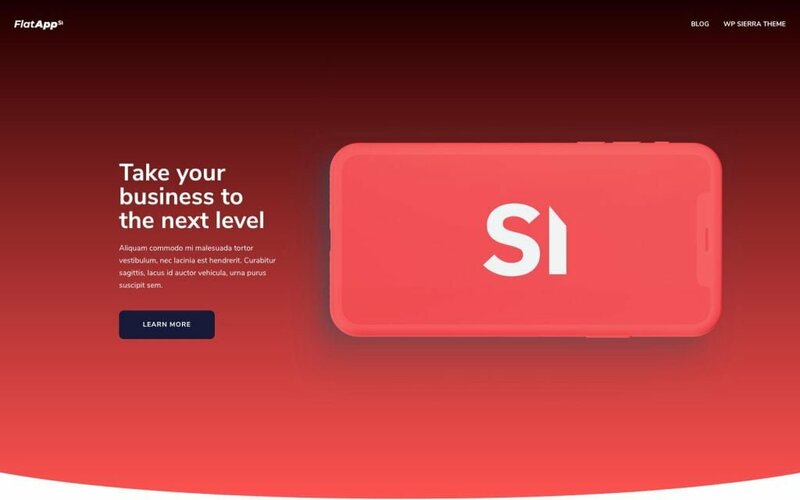 Designed for Elementor Page Builder but also works with Beaver Builder, Thrive Architect, Visual Composer, Divi Builder and more. In simple words “no coding required” philosophy. Usability is one of the most overlooked subjects when it comes to WordPress themes. 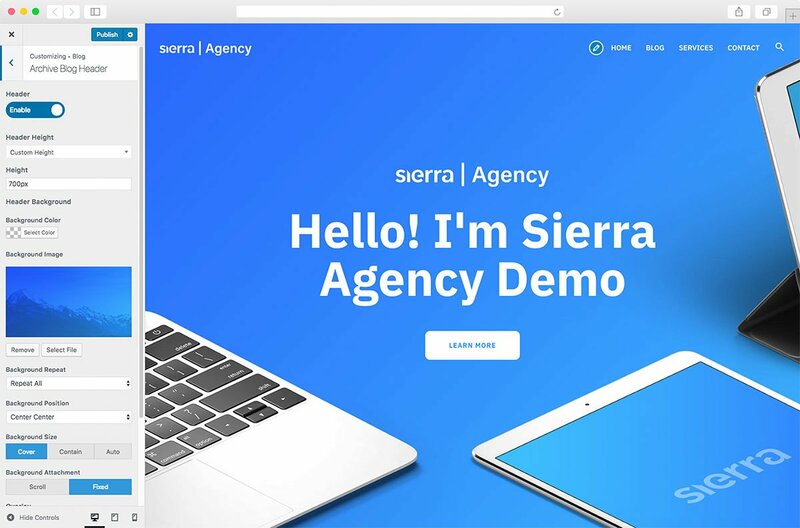 When designing Sierra Theme, we have aimed to use all native WordPress features, plus added several extra ones such as extended Live Customizer, custom headers and more. In our opinion, it is the MOST crucial principle. 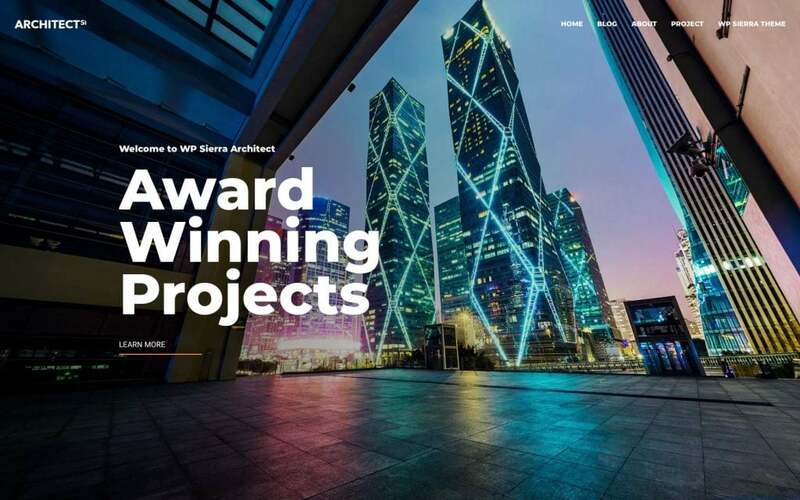 Besides WordPress Themes development we are involved in many successful on-line projects which are based almost entirely on WordPress, so we know the struggle and frustration when you are dealing with out of date plugins and themes. Because of that, we would like to give you the best experience possible. Sierra Theme is always growing and frequently updated. Leave your email address and name below and we let you know as soon as we release Pro Edition of Sierra Theme.